Today there is growing interest in the best use of the school ESL teacher, especially when ESL students (or bilingual and multilingual learners – BMLs) now make up a large proportion of the student body in many English-speaking schools. Teachers and administrators are increasingly focused on creating real impact and this is driving development plans in many schools. Yet how can schools be sure that their model of service is going to equate to better results for students? How can they be sure they implement the best model? The good news is that we can turn to research to provide information about the approaches that will bring about good impact. I want to share this knowledge-base with you so that you can evaluate whether the approaches you currently use are likely to create impact or, if you’re currently developing a new ESL programme, you can use this information to design your model. You can imagine what this means for your BMLs, many of whom come to you brand new to English or in the early stages of acquisition. It can seem like a journey of a thousand miles for students, their parents and teachers alike. Language acquisition is a long-term process as you’ve already seen but you can help students view their progress as incremental; like rungs on a ladder. With growth, they move closer to the top, one rung at-a-time. In order to support BMLs to make good progress at every stage, it’s important to invest in the approaches that are recognised to bring about real impact. These approaches will empower students to not only access rigorous learning but to maintain one of their greatest assets-their home languages. Below is a description of high-impact elements to include within your model. These incorporate the understandings of English acquisition and make use of approaches that enable access to the curriculum. Keep in mind that it’s ideal to differentiate learning to enable BMLs to participate at their ‘instructional levels’ rather than need to ‘help’ students digest lessons and information that is well-beyond their level of accessibility. Encouraging BMLs to work as independently as possible with the learning is key. BMLs should not be ‘exited’ from supports after a set timeframe but should instead be listed on a shared register that recognises them as a bilingual or multilingual person who may require additional support at any stage (even at advanced stages of proficiency) since bi/multilingualism can be a lifelong journey. For example, BMLs can often struggle with ‘metaphoric competence’ in upper secondary school and they may benefit from specific instruction to support this complex concept. Not ‘exiting’ students leaves the door open for them; enabling them to access supports even if they might not have required them previously. Teachers must make literacy a top priority. There should be a daily focus on individual/guided reading for all students, and this should include use of reading materials that match BMLs’ current abilities (e.g. levelled readers for younger learners and graded readers for older students). There should also be opportunity for daily writing practise. This can be accomplished using a response journal (free-writing or subject-specific responses) to allow students to express their ideas at their current levels; but they should also be encouraged to read through their work and self-edit according to their own targets. Conferencing with students goes a long way in supporting and scaffolding their literacy development at every age. Vocabulary development is a key pillar of learning and comprehension. The old method of giving students vocabulary lists and testing them at the end of the week is not ideal. Rather, introducing students to target words through explicit teaching is the first step. These should especially include: mid-, low-frequency words and high-frequency academic words. Next, modelling and embedding these words within natural learning contexts will increase recognition and develop comprehension. Assessing whether students are actively practising and using the target words in reading, writing and speaking is critical to the vocabulary teaching cycle. Keep in mind students need multiple exposures of words in order to commit them to memory and use them independently. This can mean 12 or more repetitions, so think about how you can build target words into your academic programme. Use of the mother-tongue/home languages of students should be supported since they not only contribute to the natural ways that students think about and learn information but they’re also an important part of students’ identities. Use of ‘translanguaging’ within the classroom not only helps students’ better understand information but it is also a good way of helping them maintain their home languages. When students have strong home languages, this helps them develop new languages, like English, more easily. Even including home language classes within the school day is an excellent strategy to ensure students continue to develop their home language and literacy. Understanding all of these important facets, how can you now design your programme? Where can you focus your time and effort in order to include these into BMLs’ academic programmes? 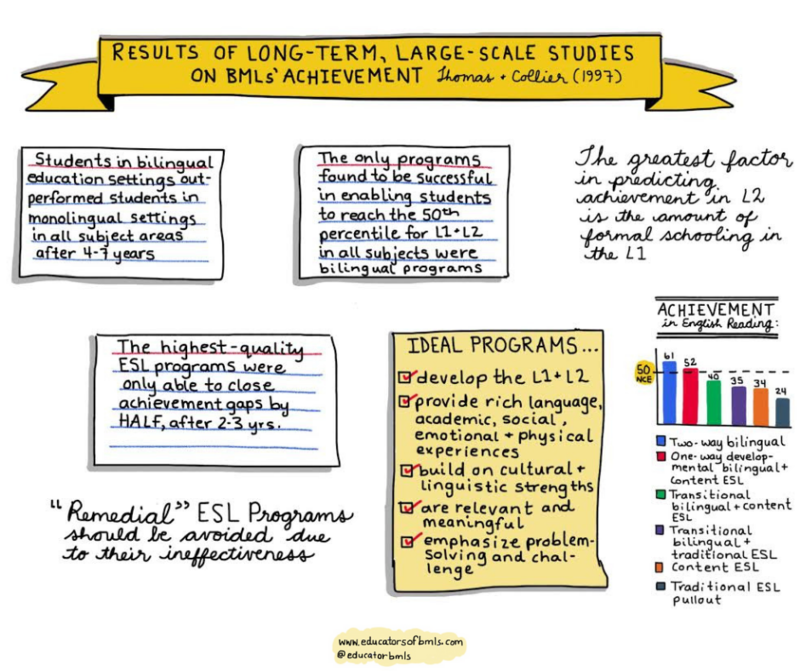 From the image below, you can see that bilingual education models yield the greatest achievement results but in English-speaking schools, an ‘enriched’ approach is best. Incorporating the elements we’ve outlined above will help create your enriched approach and will better enable student access to rigorous academic experiences. As you can see from the graphic, the research shows that traditional pullout ESL programmes did not do very well in supporting student achievement over time. One of the reasons for this is that many ESL classes do not emphasise or focus on enriched experiences. They frequently aim to ‘remediate’ or ‘teach English,’ often doing so without a clear plan that leads to measurable outcomes. Merely scheduling ESL teachers to ‘help’ students acquire English or ‘catch up’ with content work is not preferable. In most situations, work can be differentiated to make it more accessible for BMLs to complete independently or with minimal support from class teachers. While it is possible that short-term, focused support can be given to BMLs in a pullout successfully; it’s preferable to support language and content through the regular academic programme. Pullout models should not be the ‘go to model’. In many schools though, they simply represent what’s always been done or they’re utilised because there is a lack of support for providing differentiated learning for BMLs. These are often reasons why pullouts continue to be used without a clear purpose, goals or evaluation of their success. If you are an ESL teacher using a pullout model, think about the reasons why this is the best option. Is it the go-to model in your school because: it fits the timetable, has always been done before or is there a lack of time/resources to create strong literacy and/or differentiated experiences for BMLs? Is there an opportunity to develop a more enriching model? Many schools apply ‘push-in models’ for BMLs and these can be very impactful. They can make better use of teacher time and resources, especially if ESL teachers are supporting classroom teachers to provide an enriched and rigorous academic programme for BMLs. This can include focus on implementing literacy programmes or project-learning, for example. In this case, the ESL teacher may help to implement differentiated experiences through the learning process or product or may provide additional background information for learning. Co-teaching can take different formats and can allow for a great degree of flexibility, depending on the specific needs of the students, teachers and the academic programme. Impact can be measured by authentic evaluation of student performance and independence with tasks. If you are an ESL teaching making use of a push-in model, how can you support teachers and BMLs with the most-impactful parts of the academic programme? Are you seeing results with your approach? If not, what might you do differently? The ideal model for ESL teachers is a consultant model. Let me tell you why. First, it requires a highly-skilled ESL teacher who possesses a strong understanding of the theories and best practises for BMLs. This model makes use of the ‘ESL teacher’ as a specialist who is able to work with multiple approaches, key people and in flexible ways to help BMLs reach their potential. It takes into account the reality that one-size-does-not-fit-all and the understanding that different school contexts might require various initiatives/approaches at different times. In this model, the ESL teacher ensures the right information is gathered about the student body so that BMLs can be correctly identified. They also work with/through teachers to support BMLs’ ongoing monitoring and development-not necessarily with every student but in ways that benefit all students. These teachers must have the freedom to set their own schedules so they’re able to organise key meetings and attend classes as determined by their identified priorities. Working directly with classroom/subject teachers to plan and differentiate for BMLs. This can mean unpacking language and finding entry points into content so that learners are able to access concepts in a way that’s challenging, yet motivating. Two heads are better-than-one and in this model, planning can be a key focus so that multiple needs are met through the academic programme itself. Understanding and analysing data should be given a high priority. This allows the ESL teacher to monitor the information collected by teachers about learners. This means monitoring the ongoing reading levels of BMLs to ensure they’re progressing and stepping in when needed for additional assessment, recommendations or training. 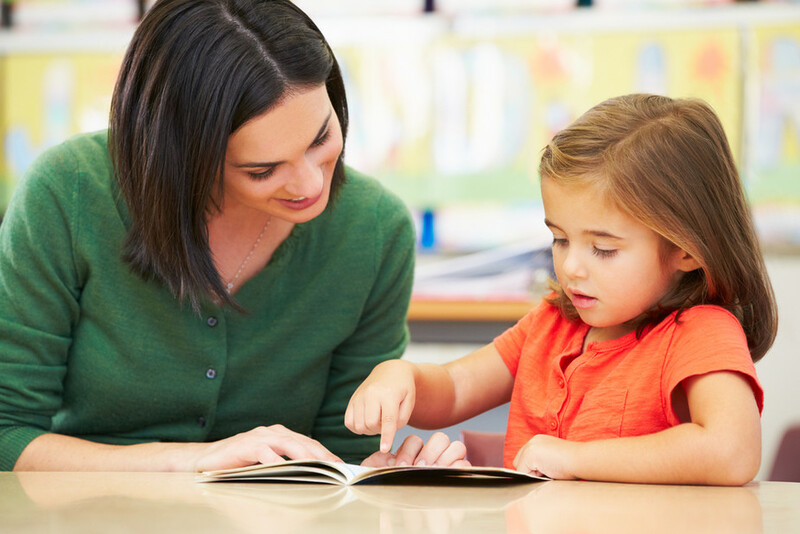 ESL teachers can implement short and long-term initiatives, even working closely with the school administration to target whole-school objectives like literacy, for example. They frequently work in collaboration with key departments and literacy specialists. They use student data to inform the development of specific programmes like a university preparation class for secondary students or even a parent programme to enhance home language literacy, for example. In this case, the ESL teacher should be proficient with assessment data and their work should be focused on achieving the ‘bigger picture’ through targeted initiatives. They may develop or support home language classes for BMLs. Knowing the value of home language maintenance and literacy for BMLs, ESL teachers may collect information about existing home language classes in their community (sometimes called ‘heritage language’ classes) and ensure the information is passed onto families. They may also deliver parent information sessions about the value of home languages or work with parent groups to develop home language classes for students. If you are an ESL teacher using a consultant model, how can you make the biggest impact for your students and teachers? How best can you provide enriched programming to BMLs while keeping an eye on the bigger picture? Where should we direct our resources, especially if we only have one ESL teacher for our whole school? If you can utilise a consultant model, that would work best and allow you a greater degree of flexibility in terms of the kinds of services you can offer throughout the year (based on the needs of your students and school). Identifying your learners accurately and finding out about their home languages will allow you to tap into the natural resources they already possess. If your ESL teacher can gather information about BMLs’ reading levels and help implement daily literacy programmes, that would be a great use of time and resources. The impact of this can also be easily monitored in terms of student progress. They might also dedicate their time to planning with department heads or teachers and can often make more impact for a greater number of students in this way. Which is the best ESL curriculum to teach our students English? Within the school environment as opposed to a foreign language setting, I would highly-recommend your existing academic programme as the basis for teaching English. 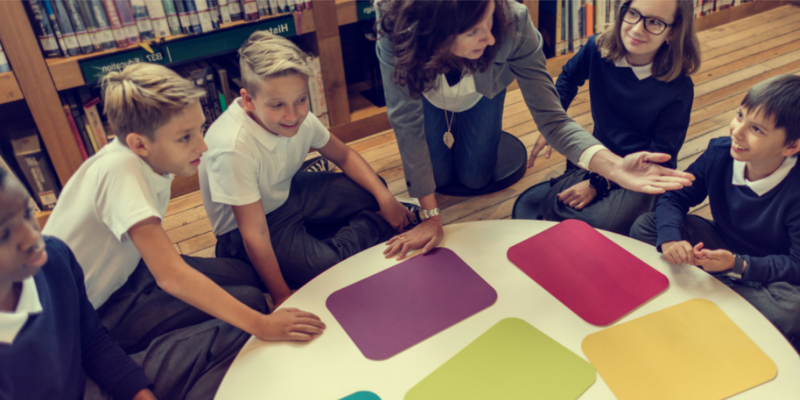 Embedded with rich academic discussion and supported by a daily literacy programme (with levelled books, vocabulary focus and writing opportunities), this will provide your learners with the ‘enriched’ learning environment they need to grow their language AND cognitive skills. Keep authentic and enriching experiences at the heart of your work with BMLs. We’ve just received new students and many of them don’t speak English at all. Their teachers want me to take them out to run a special English class for them. What do you suggest? I can understand the challenge that this presents to teachers, especially if they have a large intake of new students they want to help. Don’t forget that many of them may not know about the best approaches, or may not be familiar with how to help beginning students cope with their new learning environment. In this case, support for both teachers and students is needed. I would start by pairing students up with ‘buddies’ who speak their language if possible so that they can feel supported during this often-difficult transition time. If there’s no student who speaks their language, you can still set them up with a buddy who will help them and take them under their wing. Help teachers understand that BMLs don’t need a structured lesson to ‘learn’ English-the best teacher is all around them. Being in the natural environment will allow them many concrete opportunities to hear and try out new words and phrases. Help them understand that some of the students may not speak right away and this might continue for up to 6 months. During this time, don’t pressure students to speak. They will need hands-on tasks, visual learning experiences and opportunities to demonstrate what they can do. Teachers may benefit from support sessions to help them plan and differentiate for their new BMLs. If you and the teacher feel that some students need more emotional support or monitoring, come up with ways that you can do this. For example, do you have a school counsellor or staff who speaks the student’s language? Are there liaison workers to ease transitions for BMLs? Maybe you can fit in some additional visits to work with small groups of new BMLs in their classrooms at the early stages. There are many things you can do but try to get to the bottom of what the teacher and student really need. Is it really ‘English help’ or could it be support to assist the teacher to plan, differentiate or learn new strategies? Could it be more emotional supports for BMLs to transition into their new school and English environment? It’s always worth taking a close look at, and sometimes even simple things go a long way to help both teachers and students cope. Do you have any other questions or ideas about designing your ESL model? Or would you like to share your personal approach with us? Feel free to get in touch. Are you an educator interested in learning more about enriching approaches for BMLs? 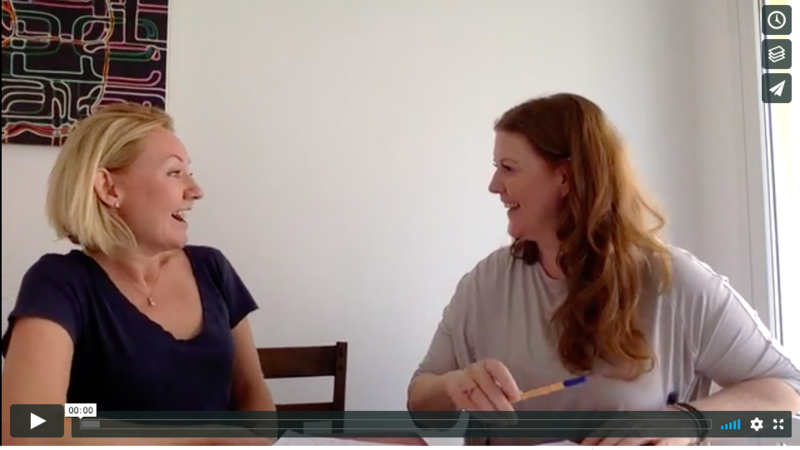 Our highly-recommended, 8-week online course, ‘Bilingual and Multilingual Learners from the Inside-Out’ will teach you the theories, the best practises and give you over 50 new strategies to use with your BMLs. Learn more about it here. Collier, V. & Thomas, W. (1989). How quickly can immigrants become proficient in school English? Journal of Educational Issues of Minority Students, 5, 26-38. Cummins, J. (1979). Cognitive/academic language proficiency, linguistic interdependence, the optimum age question and some other matters. Working papers on Bilingualism, No. 19, 121-129. Cummins, J. (1981a). The role of primary language in promoting educational success for language minority students. In California State Department of Education (Ed. ), Schooling and Language Minority Students: A Theoretical Framework. Los Angeles: Evaluation, Dissemination and Assessment Center California State University. Nation, I.S.P. & Meara, P. (2010). Vocabulary. In N. Schmitt (ed.). An Introduction to Applied Linguistics. Edward Arnold. Second edition. pp. 34-52. Nation, I. (2001). Learning vocabulary in another language. Cambridge: Cambridge University Press. Schofield, A. & McGeary, F. (2016). Bilingual and multilingual learners from the inside-out: Elevating expertise in classrooms and beyond. Charleston: CreateSpace. Thomas, W. P., Collier, V.P. & Center for Research on Education, Diversity & Excellence (2002). A national study of school effectiveness for language minority students’ long-term academic achievement. Washington, DC: Center for Research on Education, Diversity & Excellence. I was chatting recently with a very experienced primary teacher about teaching bilingual and multilingual learners (BMLs) in the classroom. She had such a wealth of knowledge and experience and it was clear that she was a high-achieving teacher in her school. One of the interesting things she told me was that we didn’t really need to be too concerned about supporting BMLs since most of what they needed to learn about English would naturally happen while they were outside on the playground with their peers. Now I know what she meant—natural interactions with other children do offer a great deal of value to BMLs, but I feel that this is often the point at which many good, even outstanding- teachers’ knowledge of BML issues begins and ends. The reality is that the widespread lack of teacher-training in language acquisition and additional language acquisition has contributed to many myths about “best practices” being perpetuated through our profession. And while the rate of BMLs entering English mainstream classrooms around the world continues to grow exponentially, we really can’t afford NOT to train teachers about BML issues. The belief that BMLs can learn and become “fluent” in English quickly by playing on the playground with other English speakers. Truth: There is some element of truth to this belief to be honest. New speakers can learn what is called “Basic Interpersonal Communication Skills” (BICS) fairly quickly. This is essentially conversation skills or social language. This kind of language is learned primarily through interactions with others and can usually be acquired anywhere from 6 months to around 2 years. This kind of language is largely made up of “high-frequency” vocabulary words and is easily heard and picked up around the playground, in the classroom and out in the community—anywhere that an individual is likely to engage in conversation with others. Schools on the other hand, demand much more of their students than to simply engage in conversations. School requires them to become proficient in the language of academics and critical thinking. To be able to think, read and write abstractly in a language requires that the individual possess what is called “Cognitive Academic Language Proficiency (CALP).” CALP can take anywhere from 5-7 years to develop if the student is strong in their own mother-tongue language, but can even take up to 10 years to master if they do not have a strong grasp of their own language and literacy. 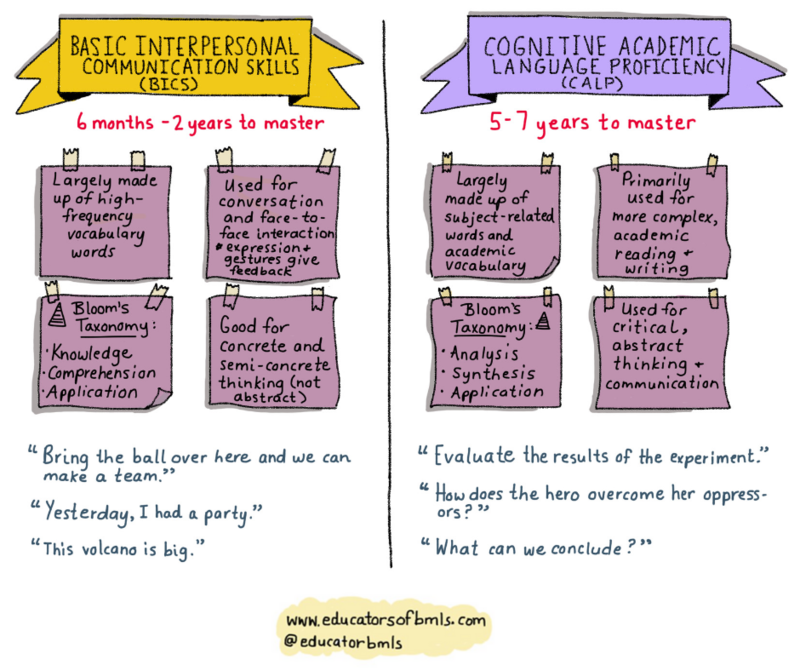 When people say that students can learn English quickly, they simply mean “conversational” English or BICS. But once the student is placed in the English mainstream class, they are required to go above and beyond BICS—they are required to think, analyze and reason through the language and that will take them several years to develop. Once BMLs have received support at school for around 3 years, they are now “fluent” in English and no longer need support. This myth is one of the most widespread beliefs that has more to do with money and funding than anything else. In most school boards/districts and even in most international schools, students are given support for 2-3 years and then they are often “exited” when they seem to be proficient in English. From what we’ve learned above, we now know this is likely based on the fact that BMLs seem really proficient in the spoken or social language (aka BICS). They may speak with the accent of their region, they may seem fluent in their pace and rate of speech, and they may even have good confidence when speaking to others. However, when these students are “exited” from the ELL/EAL department at their school, it is very likely that their need for continued academic support will be unrecognized. In fact, because “bilingualism” and “multilingualism” is a lifelong process, BMLs are likely to experience many different types of challenges all along the way to graduation, even when they are “fluent” and have been learning through English for several years. Since the research shows that BMLs are often 2-3 years below grade-level, this means that reading materials, high-level writing and communication will be a particular challenge. If BMLs are not kept on the ELL/EAL register of their school, their teachers may not recognize these seemingly “fluent” students’ struggles with academics are a result of their language acquisition and not a learning disorder. Also, even BMLs with high levels of proficiency in English still struggle with academic writing and reading. In secondary school, idioms, metaphors and academic genres are now required to much higher levels. Many BMLs lack exposure and can struggle with these tasks. So while BMLs may not require the intensive support they might have needed previously, they will still require focused support and teaching to help them transition to CALP or help them develop more advanced knowledge of English literature and linguistic features. This can happen at different stages anywhere along a BMLs’ journey, whether they are beginners or advanced English learners. This limited notion of a 3-year support model needs to be put to rest. Bilingual and multilingual learners often need a great deal of support once they move from BICS over to CALP since there are more demands on “thinking” in English and they are not able to rely as much on context clues and visual supports and work is much more demanding. Schools need to redesign their support models for BMLs so that the whole school taps into the high-quality information about how BMLs go about learning English and how whole-school policies can support these processes. 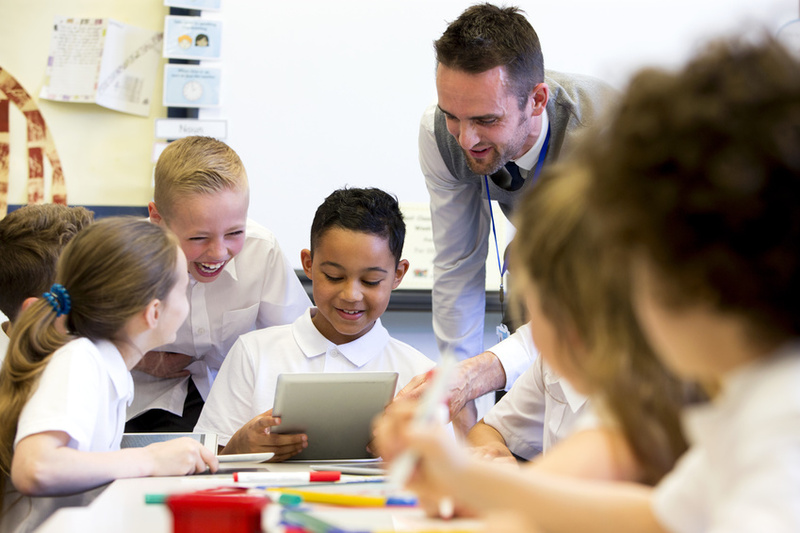 As many teachers go about their work in schools where a large number or even a majority of their students are BMLs, it is extremely important that they receive the right training on how to build and create supports that are built-into the school and policies that help educators maximise their time and effort with BMLs. The more knowledge that teachers are empowered with, the more these longstanding myths will be extinguished. This will ultimately lead to greater awareness, access and provision of services for our bilingual and multilingual learners. I grew up in a small town in Northern Ontario, (Canada) which had very few new immigrants. It was rare to see multicultural people or those who spoke diverse languages. Our population was largely made up of English and French-speakers, along with aboriginal people and some older Europeans who still maintained their languages and cultures. When I go back to visit now, I see that the situation has changed a great deal. There are now more ethnicities than there were previously, and there are even refugees settling into our community quite successfully. This is a growing trend-provoked by globalization, war and other challenges-now taking place around the world. While diversity in languages and culture offer a richness to our communities and schools, we need to understand that this also creates a unique challenge for education, particularly for teachers and bilingual and multilingual learners (BMLs) who can often be “sinking or swimming” if no additional resources or training are available. Even in well-resourced private and international schools, the traditional models of support with one or two ESL teachers is no longer effective, especially if the majority of students in the school are bilingual and multilingual learners. Research shows that most teachers have never received specific training to work with BMLs (NEA Policy Brief, 2014; Premier & Miller, 2005) and this is problematic because much of the research about these students is in fact, counter-intutitve and goes against natural, teacher-logic. For example, getting students to use their mother-tongue languages to support them in the classroom can actually benefit their English development and learning; and while students appear to be fluent in English after around a year or two, this is misleading. Most can have good conversations in English but they actually require between 5-7 years to be fluent in the academic language that school requires. So we just can’t expect teachers to try and figure out the best ways of working with BMLs and supporting them, all on their own. They need specific training to know what to do and why they’re doing it. Schools are no longer able to rely on ESL teachers and traditional approaches when they have a majority population of BMLs. Times have changed and we need to change along with it. Once teachers are given the training they need to understand BML issues, their expertise can really have a profound effect on their students and their school. Administrators and teachers are then qualified and able to make more impact by planning whole-school educational programs and initiatives that match the needs of their student body. This kind of “thinking big” creates a new model of support for bilingual and multilingual learners in the school. It’s not a one-size-fits-all approach, but requires school teams to combine their expertise with what they know about the BMLs in their specific school. We know that whole-school initiatives like literacy programming, a focus on vocabulary development and mother-tongue maintenance can greatly contribute to students’ learning and progress. It would makes sense then, to focus heavily on these areas and embed them deliberately within school programs so they enhance all aspects of the teaching and learning. In this way, the enriched educational environment and programme itself serves as the “support” for BMLs. This offers much more value than a remedial model. This approach also encourages a way of “working smarter, not harder,” since teachers naturally work more cohesively with common goals and apply more consistent teaching approaches across the school. For example, if all the teachers working with students in a particular grade 9 class decided to embed and emphasize the same 25 academic vocabulary words within their classes over 2 months, then students would get greater exposure, repetition and mastery with those words. Similarly, if all teachers were trained to use bilingual approaches with BMLs across the school, then this would have a powerful impact on students’ thinking, learning and overall understanding. In order to create this kind of high-impact school model to support BMLs, staff training is essential. All teachers and administrators need to be trained in the knowledge-base surrounding BML issues and key teaching strategies. This allows school teams to then design their educational programs and initiatives to create immediate impact. Daily reading and writing, embedded “talk time” within lessons and use of the mother-tongue for thinking, reading or discussion are examples of strategies that can be used by all teachers within their classrooms, on a daily basis. This kind of enrichment, or shall we say, “support,” provides BMLs with a high-quality educational experience, superior to most ESL-type pull-out approaches still used in a large number of schools today. So would this kind of approach make the ESL Teacher’s role redundant? Absolutely not. These teachers are even more necessary than ever, but their role now requires more expertise and leadership—a co-ordinator within their school. They work with heads of school/principals, teachers and students. They advise and work with management to thoughtfully design the school timetable around school priorities (keeping in mind research-based approaches). They may even plan staff training around these priorities. They work with key people to write school policies that align with research and best practices. They support teachers in planning programs and lessons when needed and they run focused interventions with students (e.g. intensive phonics program for high school BMLs, or even a reading and writing booster class for small groups of primary or middle-school students). In this model, the BML Specialist Teacher is seen as an expert who holds a key role in helping design, implement and monitor school-wide programs and initiatives. This new model is not revolutionary, it’s not aiming too high. It is clear, concrete and do-able. Pareto’s Principle says that 80 percent of your results come from around 20 percent of your efforts, so even if a school applied just a handful of high-impact approaches or strategies with consistent application, they could expect to get positive results. Just imagine the possibilities that exist when a whole school harnesses their common knowledge-base and expertise, all coming together to provide an enriched academic experience for their BMLs. Our Institute for Educators of BMLs at IngeniousEd. runs global courses for teachers and administrators, helping them get a solid foundation in BML issues to make powerful impact in their schools and with their bilingual and multilingual learners. National Education Association (Policy Brief). Professional development for general education teachers and teachers of English language learners. Premier, J.A. & Miller, J. (2010). Preparing pre-service teachers for multi-cultural classrooms. Australian Journal of Teacher Education, 35(2). Thomas, W. & Collier, V. (1997). School effectiveness for language minority students (NCBE Resource Series No.9). Washington, DC: National Clearninghouse for Bilingual Education.